A recent holiday to Japan had me thinking about Australian birds. Big, noisy birds such as cockatoos, kookaburras and crows. It also had me thinking about how little we value space in Sydney. And I will explain below why I was thinking about these things. I visited Tokyo with my family during September. 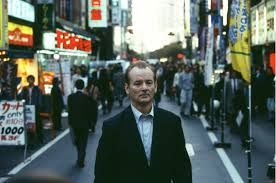 While in Tokyo, we stayed near Shibuya, widely known as the backdrop of the movie Lost in Translation starring Bill Murray and Scarlet Johansson. It was bustling, franctic, busy – the world capital of human compaction. Thousands of people use Shibuya’s famous scramble pedestrian crossing every few minutes. The railway station is the second busiest in the world. At night, it is a cacophony of neon and video advertising billboards. 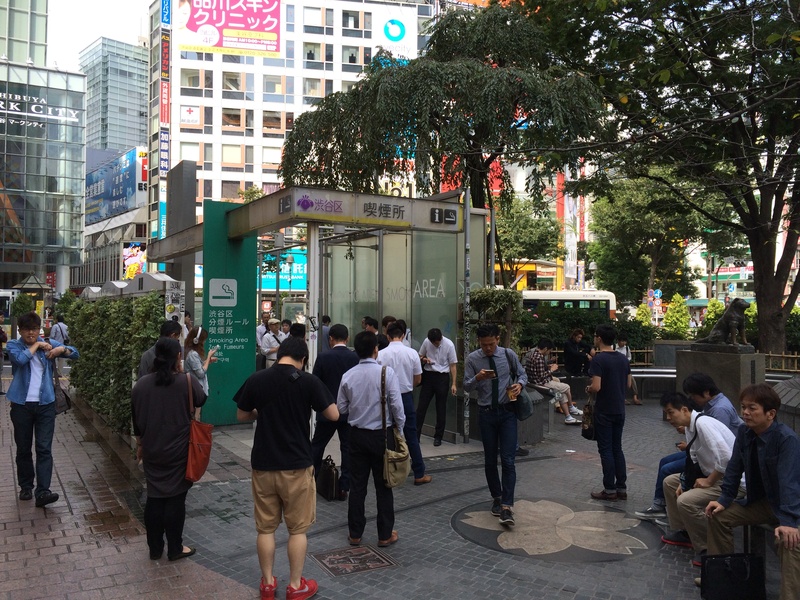 Regularly, we ventured from Tokyo station on to the subway network – a network which is so crowded that its guards have to push people into already packed trains so everyone can fit in. So is it over-whelming or claustrophobic? Well, actually, it’s not as bad as you’d think. This is because the Japanese have created rules to force people to respect space. Tokyo’s extremely dense built environment means space is at a premium in Tokyo – and that means people are far closer together than anywhere else in the world. And that means the behaviour of people must improve. And everyone must respect everyone else’s space. 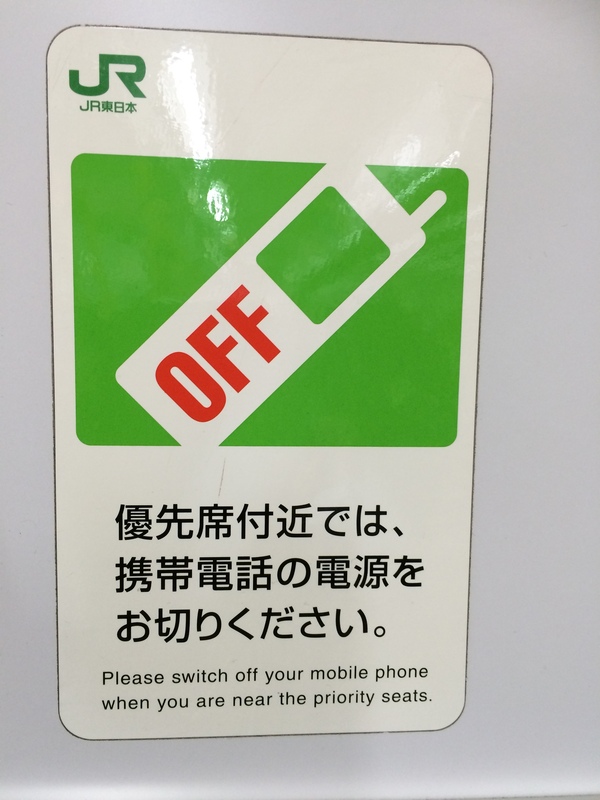 So the Japanese ban the use of mobile phones on trains. If you in a priority seating area, used by the elderly, disabled or mums with bubs, you must turn your phone off. On other parts of the carriage, you are simply told not to answer your phone. Then there are the smoking areas. 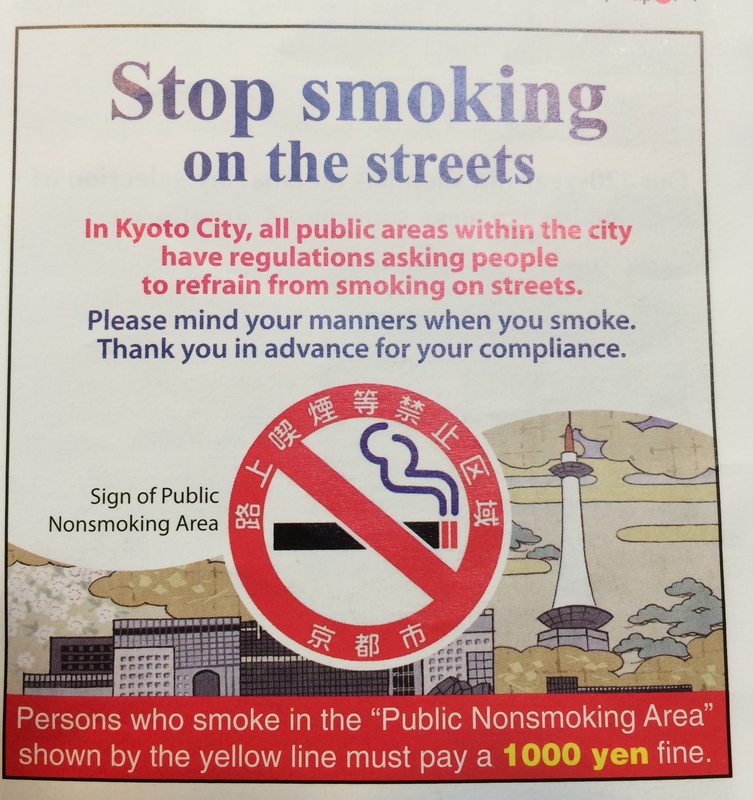 Smoking is only allowed outdoors in some small sign-posted areas, such as near a railway station entrance. Everywhere else, it is banned. What’s more, men are banned in some train carriages. The idea is that the trains are so packed, that men get accused (or are worried of being accused) of touching women. The solution is women-only carriages. Then there is the general approach of Japanese people to life. They seem to me to go about things in a quiet way and discrete way. Meal sizes are smaller, conversations quieter, hospitality and manners the rule not the exception. Now let’s compare and contrast this urban environment with Sydney. Train trips are regularly ruined by the moronic warblings of a nearby passenger loudly discussing every detail of their upcoming best friend’s auntie’s birthday. Or the best colour for their new curtains. Or why their boyfriend doesn’t understand them. Or like…who cares? This makes it far harder to concentrate on your work issues (because part of the productivity of Sydney is that you can do work on the train). In other words, train gasbags are having an impact on our city’s gross domestic product and the Australian economy in general. Walking down the street, you are forced to dodge people with lit cigarettes (both to avoid the smoke and being burned). Freedom must be used responsibly. And I am not convinced we use space responsibly in Sydney. As our city gets bigger and denser, and it will, this flagrant disregard of space cannot be allowed to continue. Interestingly, the City of Sydney is currently examining an outdoor smoking ban in Martin Place, including looking at other capital cities. I’d double down on that policy. Every footpath, every park, everywhere. Ban smoking. It is a curse on our cities and our health. And ban phone talking on the entire Sydney Trains network. Tap not talk should be the motto. Which brings me to Australian birds. The haunting moan of the crow, the peppy laughter of the kookaburra, the hyperactive screech of the cockatoo. Loud brutes that wake you up in the morning and ruin your afternoon nap. In Sydney, it’s like we’ve seen how these birds act in public and decided we should do the same. Perhaps it is time we started to act like blue wrens rather than noisy miners. Our city and State would benefit. In the future, let’s all act like quiet birds. ← Why is Sydney enjoying the high life?